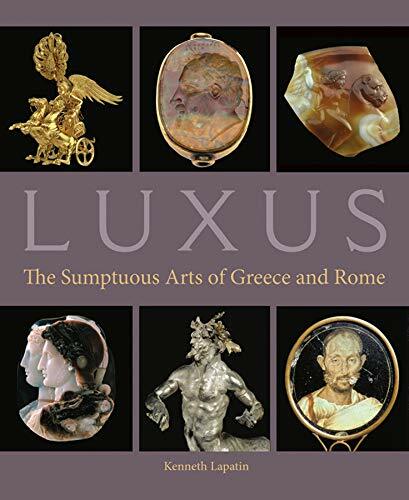 "With a series of in-depth essays, more than 225 color illustrations and commentaries, and an extensive bibliography, Kenneth Lapatin provides an integrated contextual analysis of a wide variety of ancient Greek and Roman luxury objects fashioned from gold and silver, semiprecious hard stones, and organic materials such as ivory, wood, amber, and pearl"--Provided by publisher. Kenneth Lapatin is associate curator in the Department of Antiquities at the J. Paul Getty Museum. He is the editor of The Berthouville Silver Treasure and Roman Luxury (Getty Publications, 2014) and coeditor of The Last Days of Pompeii: Decadence, Apocalypse, Resurrection (Getty Publications, 2012).